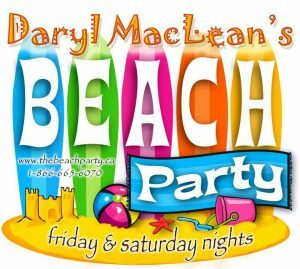 The Beach Party, Friday from 6 to 10 p.m.
Join host Daryl MacLean for a weekend soundtrack at the intersection of High Energy Drive and Classic Lane! Learn more at www.thebeachparty.ca. Brought to you by Dairy Queen, Antigonish, Make Yer Own Wine and Beer, MLA Alan MacMaster and Snow Queen Restaurant.